Bacigalupo, who was there on an assignment for Human Rights Watch, went to the studio in the hope they could print some images to give as a gift to pe0ple who featured in her photographs, and who had been instrumental in introducing her to the local Acholi culture. Top: Portrait I, Martina Bacigalupo. © Martina Bacigalupo / Courtesy of Camilla Grimaldi, London. As she waited for her prints to be produced, Bacigalupo noticed a photograph lying on the counter; this 10x15 cm colour print had caught her attention not for its striking composition, vibrant colour, or the sitter’s dress style, but for what was missing, the subject’s face. In its place was a rectangular hole that had been punched through the print’s surface. When she asked the studio assistant what the print was, she replied that she had forgotten it was there, and proceeded to discard it. Portrait III, Martina Bacigalupo. © Martina Bacigalupo / Courtesy of Camilla Grimaldi, London. This piqued Bacigalupo’s interest. When she asked to see the contents of the bin, a ripple of laughter reverberated around the small studio. Then a man stepped forward from among the amused onlookers and said he would be happy to show her more. His name was Obal Denis, and he ran the Gulu Real Art Studio – the oldest photo studio in town – with his father. Once at Gulu Real Art Studio (just a short walk away), Bacigalupo rummaged through the studio trash, finding more headless portraits, while Denis explained that they were used for ID photographs. Though he had a machine that would produce four at a time, most of his clients needed only a single photograph. 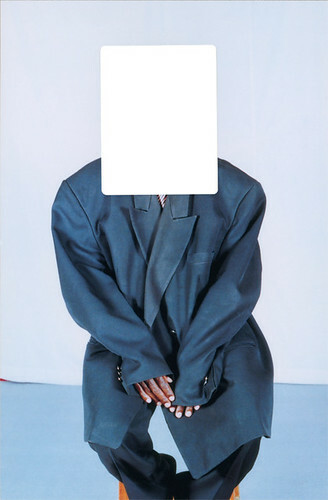 To save time, he made a standard size portrait print from which he would stamp out an ID head shot, which resulted in the series of discarded headless prints. Portrait IV, Martina Bacigalupo. © Martina Bacigalupo / Courtesy of Camilla Grimaldi, London. Portrait V, Martina Bacigalupo. © Martina Bacigalupo / Courtesy of Camilla Grimaldi, London. Look at any portrait – be it a painting, a sculpture or photograph – and the onlooker’s eye seeks out the face. That remains the case in this series of engaging images. 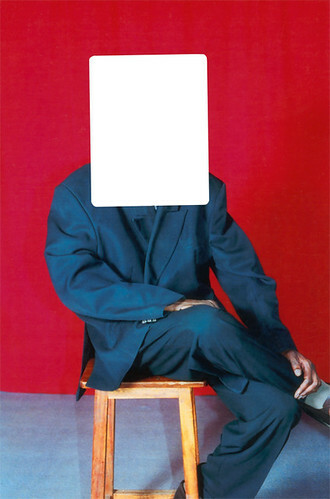 Our eyes are drawn to the white void, before being rapidly expelled, allowing the viewer the freedom to explore what were once secondary elements – which now hold the only visual keys to the sitter’s identity. In one portrait (above), a man sits uneasily on a wooden stool and against a neutral backdrop, the oversized jacket, which leaves only his finger tips visible, appears to be a studio prop for clients who have no jacket of their own. By contrast, the body posture of a woman suggests she is relaxed as she poses for her portrait, her traditional blue robe contrasting with the red backdrop (below). 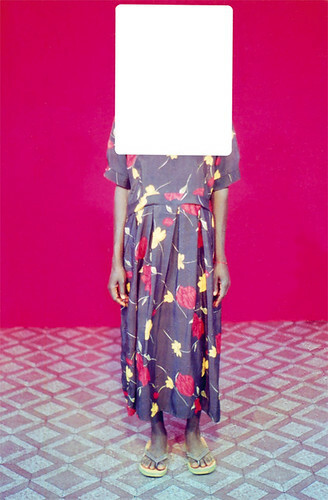 In a third picture (top), a child is held aloft by its mother, the youngster’s white T-shirt and pale lavender skirt blending with the stark void of emptiness left by the removal of the ID head shot, while the mother retains eye contact with the void. Portrait VI, Martina Bacigalupo. © Martina Bacigalupo / Courtesy of Camilla Grimaldi, London. At first it is the aesthetic quality of these portraits that intrigues the viewer – the composition, the vivid hues, the dress and the void – but there is more. A complex layer of poignant narrative emerges that reflects upon the scars of past conflicts that have touched Uganda’s citizens. 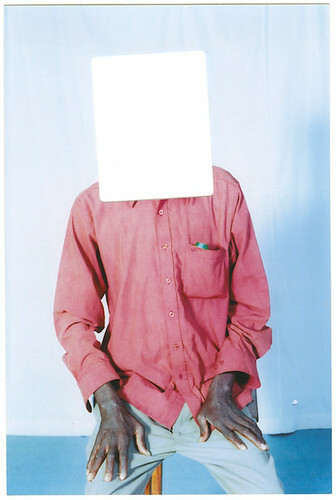 This is heightened through Bacigalupo’s accompanying audio interviews with people who visited the Gulu Real Art Studio to obtain an ID photograph, showing that even in the faceless and the unseen there is something to be revealed. 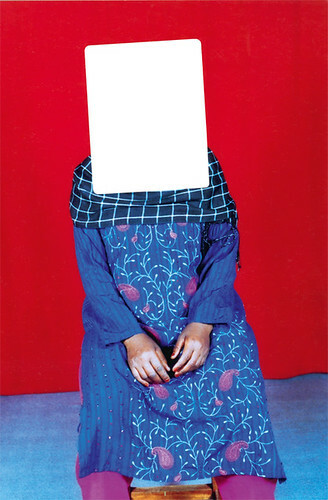 ‘Gulu Real Art Studio’ is at Camilla Grimaldi, 25 Old Burlington Street, 4th Floor, London W1S 3AN, UK, until 25 April 2014. 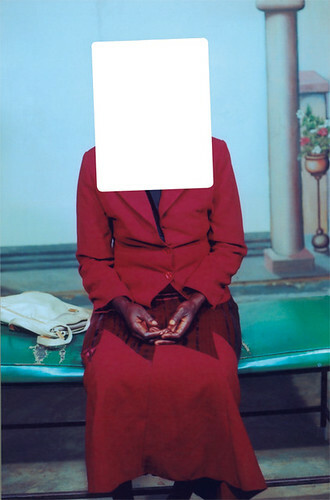 A book, also called Gulu Real Art Studio is published by Steidl. Portrait VII, Martina Bacigalupo. © Martina Bacigalupo / Courtesy of Camilla Grimaldi, London. Wayne Ford, designer, creative director, London and Wiltshire.